Karen Kaasohoek, Vice-President of FCOM, shared the strategic vision of Free Clinics of Michigan at the 2010 annual meeting. Free Clinics will continue to support the goals and mission of uniting all free clinics in Michigan in fellowship towards our common goals of providing healthcare to the uninsured. 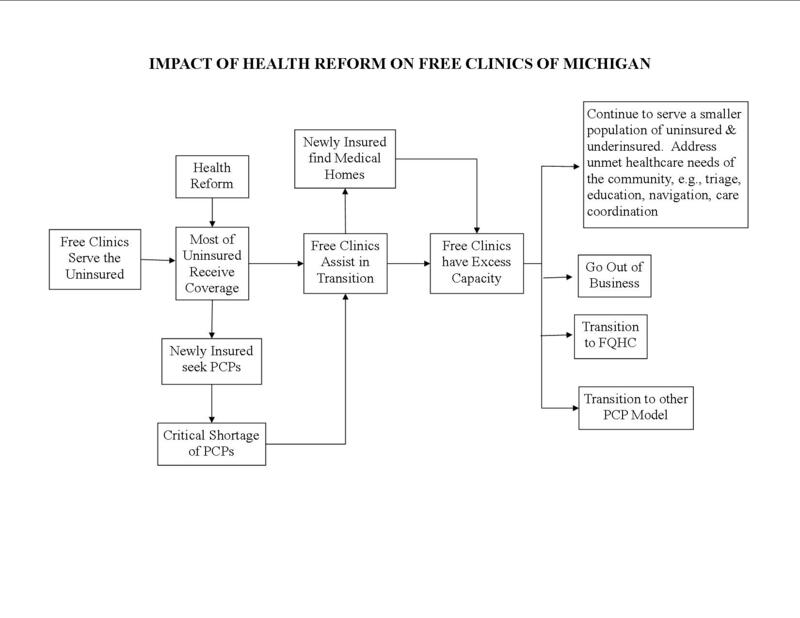 In 2010, Free Clinics of Michigan has taken on the task of monitoring healthcare reform and assisting free clinics in the transition to a new system should it arise. A document on the future paths of free clinics under such a system is available here.